Kangen Water® is created from Enagic’s innovative water technology. The technology used provides you with not only fresh clear filtered water, but also produces ionized alkaline and acidic waters through the process of electrolysis. The machine offers waters that can be used for a number of different purposes that including drinking, cooking, beauty, and cleaning. The primary selling point of kangen water features its health benefits. The technology used produces alkaline water which when consumed has been found to have a number of beneficial effects on the body. Understanding why kangen water promotes better health is important for its what seperates it from the many “better health” promotions that have came before it. 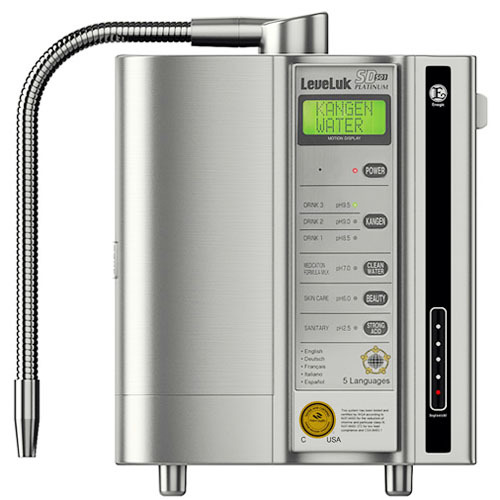 Kangen water produces Ionised alkaline water that has a high concentration of hydroxide ions and it is these ions that act as antioxidants in the body by neutralising free radical reactions. Our bodies deteriorate as we age and it is contributed through oxidative stress this in turn is caused by an excess of free radicals. A balance between free radicals and antioxidants is necessary for proper physiological function. If free radicals overwhelm the body’s ability to regulate them, oxidative stress ensues. Free radicals thus adversely alter lipids, proteins, and DNA and trigger a number of human diseases.